Are you missing a single tooth? You may have to deal with daily embarrassment and reduced confidence. You are also at risk for developing further oral health problems. 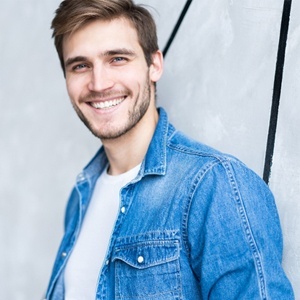 Rather than living with the problem and endangering your smile’s future well-being, you should consider your tooth replacement options. Our team are dedicated to providing reliable, functional, and aesthetically pleasing restorative treatments. That is why we often recommend that patients with a single missing tooth receive a dental implant and implant-supported crown to fill in the gap. A fixed bridge, sometimes called crown and bridgework, is a dental prosthesis that fits over the remaining natural teeth. Crowns cap the abutment teeth (the teeth adjacent to the gap), while a pontic (artificial tooth) “bridges” the empty space. Fixed bridges have been in use for many years and can look quite natural when they’re made out of porcelain. They can even restore full dental function. However, there are a few disadvantages to fixed bridges. For example, they cannot prevent the bone deterioration that occurs after tooth loss. They also require that your dentist significantly modifies the teeth that will receive the crowns. The other option for single tooth replacement is a dental implant in Haverhill. It is a self-supporting prosthesis that rebuilds the tooth from the root up. A dental implant is a small cylinder, usually made out of titanium, that your dentist in Haverhill surgically placed beneath the gumline in a minimally invasive procedure. During the healing process, which may take a few months, the implant forms a strong bond with the bone around it. Thus, it can act as a substitute for the root of the missing tooth. When the implant is ready, we attach a small piece to its top called an abutment. 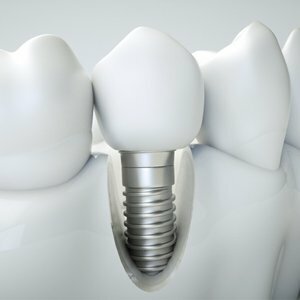 The abutment serves to connect the implant to the crown that will replace the visible portion of the missing tooth. Because an implant fuses to the bone around it, it helps to prevent the bone deterioration that occurs after tooth loss. A dental implant can last for decades — perhaps even a lifetime — if it receives proper care. In contrast, a regular fixed bridge may last for just 10 years or so. 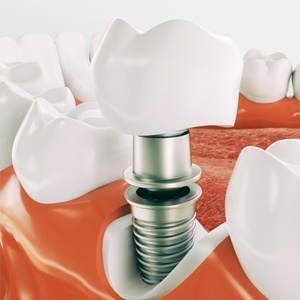 You can treat a dental implant in much the same way as you would treat a natural tooth. Since implants replace teeth from the roots up, they look and feel extremely natural. Placing a dental implant usually does not require that any of the remaining natural teeth be modified or extracted. If you are ready to replace your missing tooth, contact our team today to schedule a consultation. After we examine your mouth, we’ll discuss your treatment options and get you on the path to once again owning a complete, confident smile.